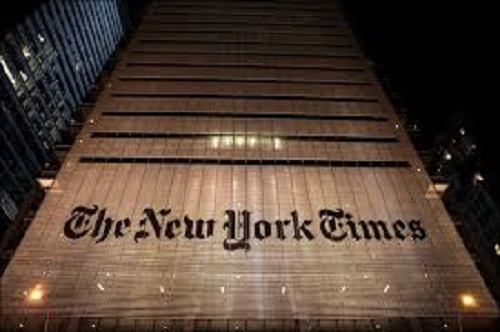 Today, I spoke with the world’s finest journalism: The New York Times. Our conversation was on talent in the African technology space and how multinational and local companies are navigating the domain. Yet, while I demonstrated optimism in many areas, I could not help to make it clear that without improved public infrastructure,; most of the optimism we are experiencing today will not go far. Lack of public infrastructures will put ceilings on the productivity gains technology will deliver in Africa across markets and sectors. Yes, you may have the best app to help farms, but without the roads, they would be unable to move produce from farms to cities. You can use drones to transport blood but without electricity, doctors cannot support rural communities. Those infrastructures are the catalysts for the economies. Simply, the “best talent” in Africa remains investments in public infrastructures as those will make African techies become stars. Indeed, without U.S. Postal Service, Amazon might have not succeeded. Africa will need such enablers to bring out the best in our talented entrepreneurs. There are things we simply cannot leapfrog, else we end up making caricatures of other great feats achieved. While the appropriate place to have the castles is in the air, someone must be tasked with putting the foundations on the ground; you cannot have it any other way. Food for thought! You hit the nail on the head. That’s my biggest frustration with rising technology in Africa. No matter how cool AI or super apps may look, we need to fix our basic infrastructure for the common citizens to thrive before our techno-sphere can take flight. Human Intelligence must work first before Artificial Intelligence. Infrastructure is difficult to build in a country where almost nobody pays taxes. Maybe privatization of everything is the answer where roads will be owned and managed by logistics companies. Utilities will be owned and managed by energy companies. It’s hard to believe that this will be a viable a solution but again it is impossible to discard the game-changing boost privatization brought to the telecommunications industry. Along with infrastructure, it is important that the government looks in options for more job creation, localisation schemes. Another aspect is to encourage entrepreneurship, the government should make funds easily available to startups who are coming up with new initiatives that solve problems, improve people’s lives and has positive impact on society. Also, improve the literacy percentage, have a fresh look on the courses introduced at university level, encourage scholarship opportunities for deserving talent at national level. With improved infrastructure, encouraging startups, creating opportunities for skill development & talent development – it is possible to make African techies become stars. “Also, improve the literacy percentage, have a fresh look on the courses introduced at university level, encourage scholarship opportunities for deserving talent at national level” – Great words there Sanjib.